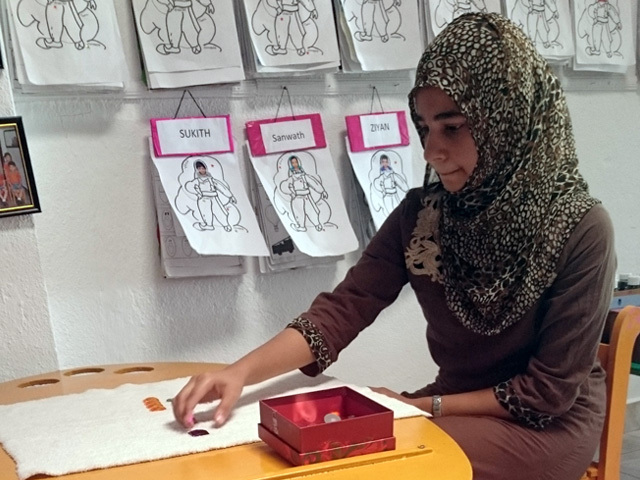 Sensorial exercises are for the development and refreshment of the child’s five senses, thereby sharpening his intellect and control, preparing him for more advanced exercises in maths, language and geometry. The exercises give each child the vocabulary they need to start out with, words such as height, width, etc. The child then takes these words and uses them in his environment. The child completes one step at a time, progressively moving from simple to complex. Where possible, each sense is isolated to provide an intense experience. 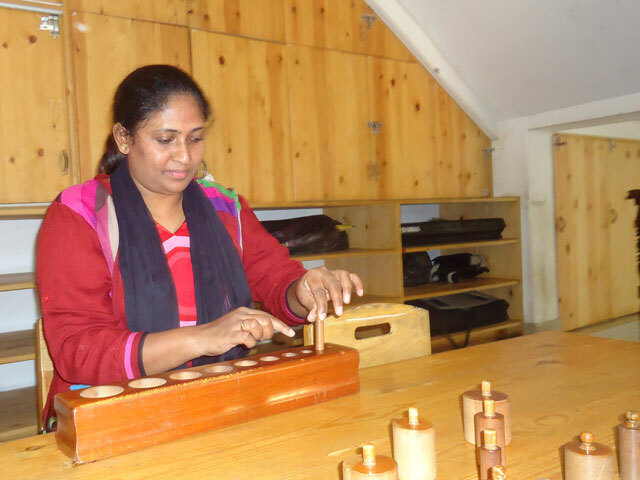 Exercises include, the Colour Boxes, the Touch Tablets and the Sound Boxes. 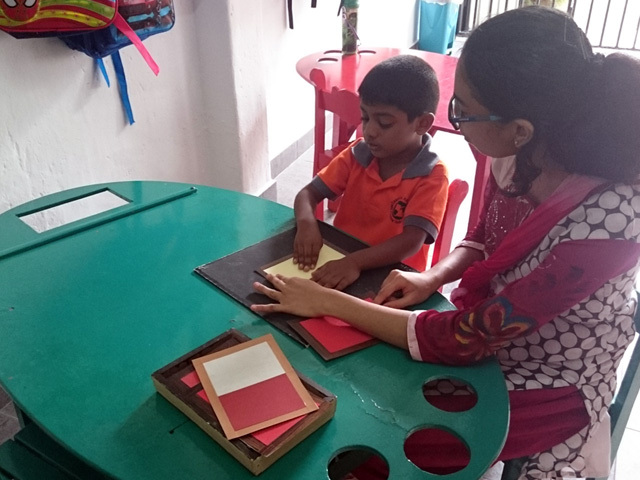 Language is involved in every aspect of the Montessori environment from Practical Life to Sensorial but it is also introduced through a step-by-step programme starting with the Sandpaper Letters. Each child will be introduced to sounds and words developing their reading and writing skills. Exercises include, the Large Moveable Alphabet, Object and Word Boxes, Sentence Strips. The child is introduced to Arithmetic through the use of concrete materials. By working with the specially designed materials, he/she learns the physical quantities and matching abstract symbols. The child always works from the concrete to the abstract. By working with concrete materials, the child can see and understand the operations of Addition, Multiplication, Subtraction and Division. A solid foundation is formed for Algebra and Geometry through working with concrete materials. Culture is made up of History, Geography, Science, Botany, Zoology, Music and Art. The subjects develop each child’s individual skills, increase their vocabulary and reading skills, increase their knowledge, develop their physical skills, satisfy their senses, teach them changes and life cycles in life and nature, and teach them ecology and aspects of different cultures. Culture helps the child understand where he is in the world and the important contribution he has to offer. Exercises include the Sandpaper Globe, the Jigsaw Map of the Continents, and Sandpaper Land forms. These courses run for a period of one and a half years.